Passing a narrow road surrounded by rocks of hundred caves one discovers a scene of harmony of architecture with nature. The monastery enshrined with fine architectural solutions and luxurious embellishments is one of the brightest examples of Armenian architecture of the 13th century. 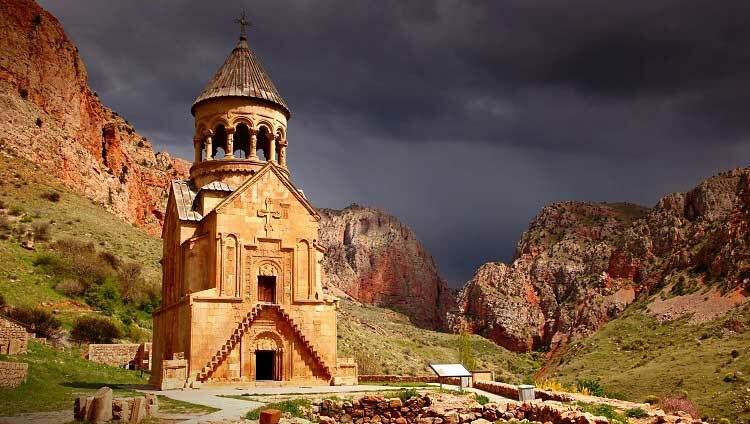 Noravanq consists of St. Karapet, St. Grigor the Illuminator churches and St. Astvatsatsin (Holy Mother of God) two-storey church, which is notable for its ideal constructive and sculptural work.